They say that a picture’s worth a thousand words. 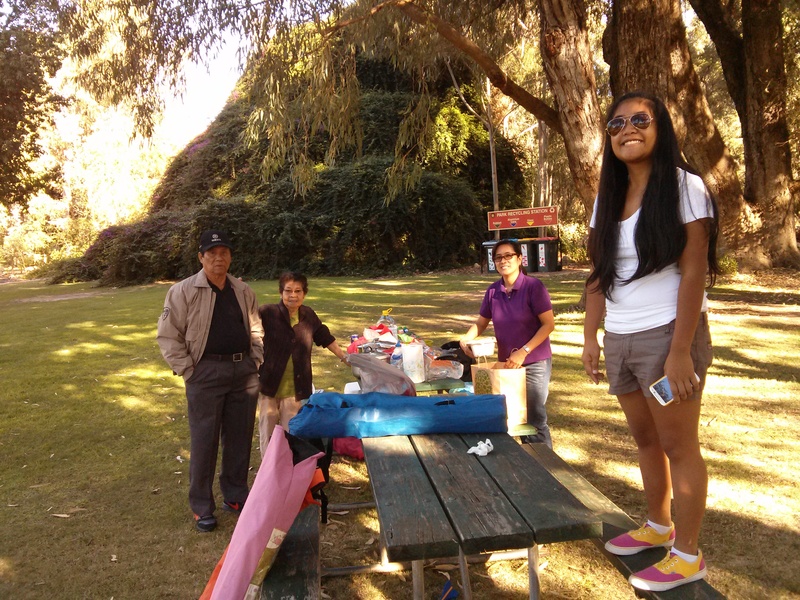 The pictures I have can warrant a whole blog post…after all, I am Filipino. And Filipinos are known for 2 things, if not more: (1) We love Karaoke. (2) We love taking pictures. They say a picture’s worth a thousand words, this one warrants a whole blog post. Yanchep National Park is a nature reserve located here in Western Australia in a place called Wanneroo Road. 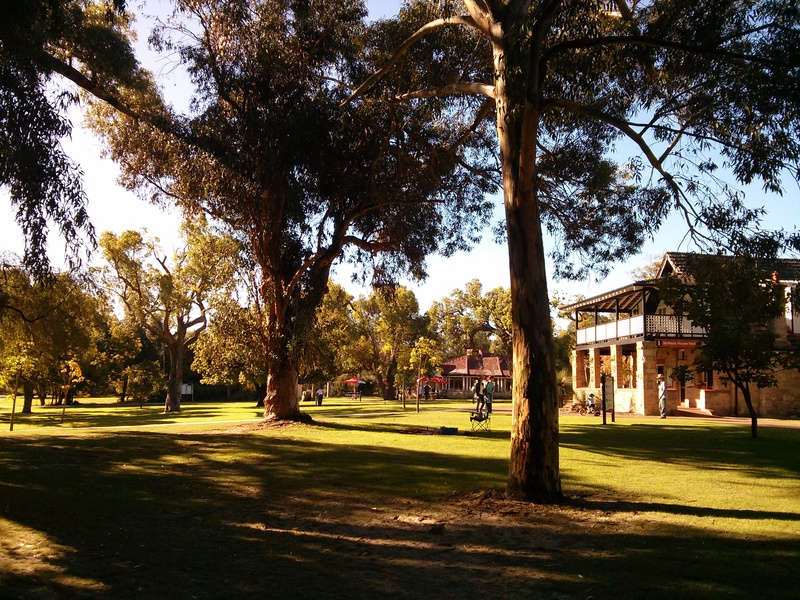 It is half an hour’s drive away from the city, a beautiful place filled with kangaroos, koalas and endangered snakes. It was as much as a habitat as it was a recreational place. We arrived one autumn afternoon, when the air was crisp, the leaves have turned yellow and the wind blew with the shiver of winter. The park was quiet. The view was amazing. And the place was well taken care of. There were grills if you wanted to cook, a table next to it, and in front of the table we chose was the Visitor’s Center where one could buy souvenirs. An Ice Cream Parlor was located next to it and a little further down was a Tea Room. It was truly a scene you could only see at the movies. It was something surreal and unreal but very tangible. The excitement in their eyes. We sat down, took a thousand pictures, ate and then we walked around. The beauty of this park is the number of places you could go to. You could go to the Koala Habitat, the Kangaroo Feeding Area or even the Snake Sanctuary which is home to endangered snakes. So we did, we went to the Koala Habitat first. 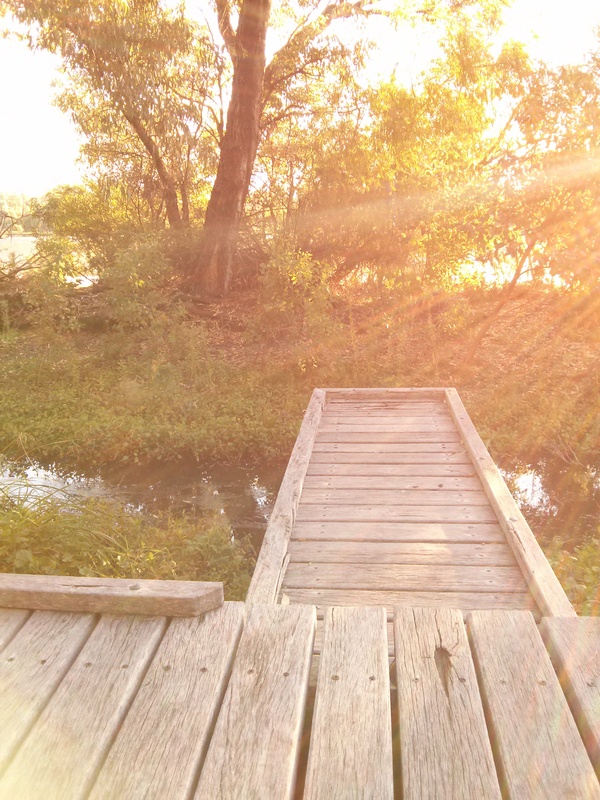 It was this raised bridge that goes around a couple of trees. Tourists, mainly from the U.S., were also taking pictures with their cameras. I could see the excitement in my grandparents’ eyes. They were carefully searching the trees for koalas, in the lookout for any movement. 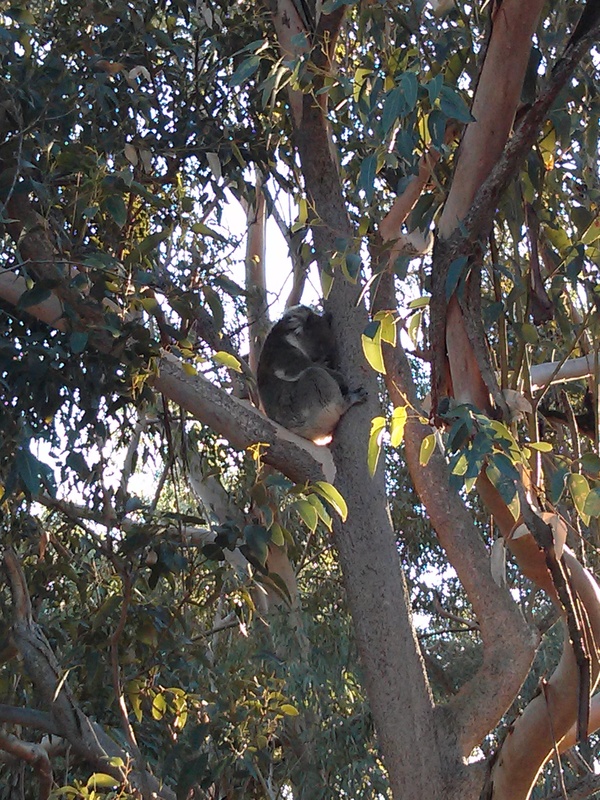 We saw a couple of them but they were all sleeping because koalas are nocturnal animals. My grandmother (lola) and grandfather (lolo) were a bit disappointed but there was no time to waste on being disappointed because there were other sights to see and other animals to pet. 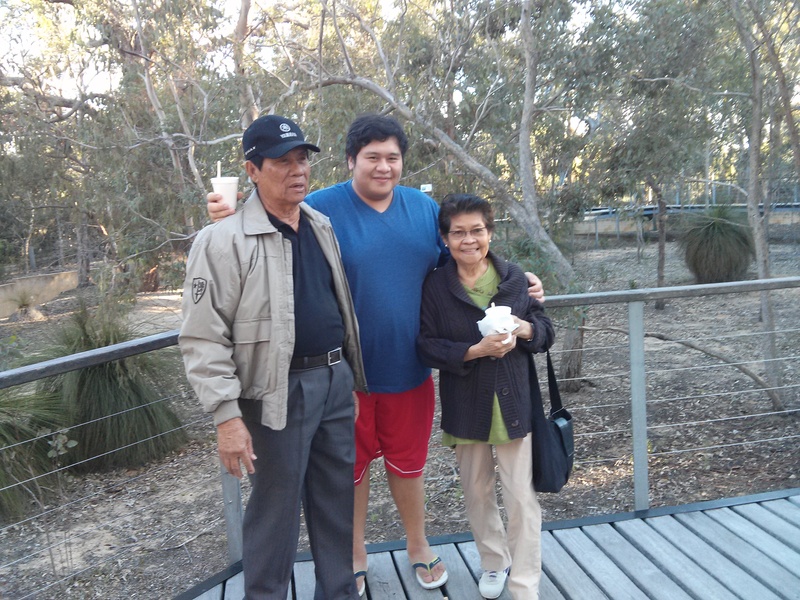 My grandparents wanted to check out Kangaroos, after all Australia was known to be endemic with kangaroos. You really couldn’t say you’ve been to Australia unless you’ve seen one. So to the Kangaroo Feeding Area we went. There was a small group of kangaroos gathering to be fed by the visitors. 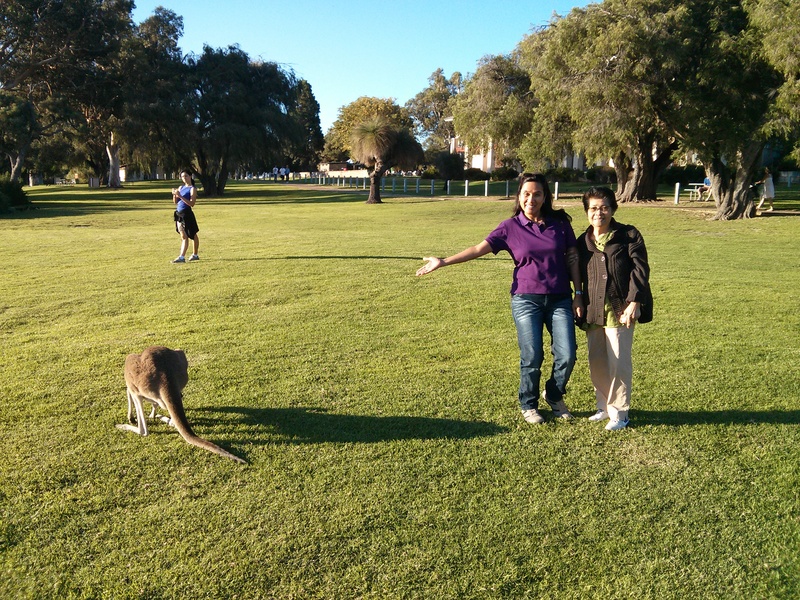 There were no cages, bars or fence separating us from the kangaroos. They were allowed to freely interact with the visitors. 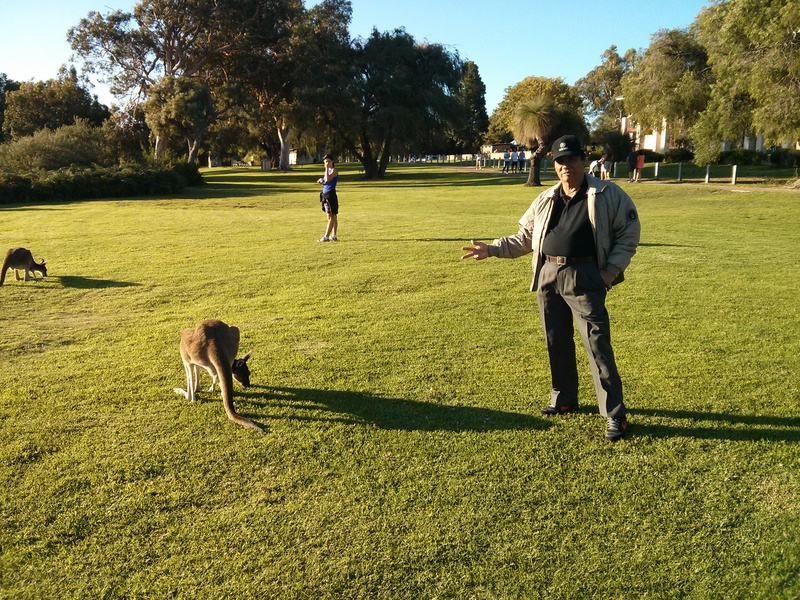 After all, kangaroos are kind animals, if they remain unprovoked. However, if they sense any danger, they would kick…HARD. So when we were taking pictures we were careful not to make any sudden movements, noise or sounds. I even had the chance to take a picture of my lolo and lola next to them. There were a lot of beautiful things there but what I really want to emphasis was this beautiful wedding in the middle of the park. Yes, a wedding there beside the lake at this picture-esque park. I saw the Bride and Groom. I saw the love they have for each other. And as they looked into each other’s eyes, I could see the glimmer of hope. I saw a man in love and a woman in awe. The sun was setting, the crisp air was filled with the aroma of love, the leaves were falling and then they said their vows. It was a scene befitting of a Tom Hanks and Meg Ryan movie. It was romantic, the timing was perfect, and the location was grand. And that was the last destination. We left the park feeling the love of 2 people. We left with euphoria lingering in our hearts. We left with this feeling of hope, the hope of 2 people, in partnership, hand-in-hand, joined in the most holy way, matrimony. Whatever their destination may be, they have someone there with them. And so it got me thinking, yes, the journey is just as important as the destination. Yes, how you get there, why you’re there and what you do there are important. But the most important thing of all is who you are with. Memories aren’t made because of where you are but because of whom you’re there with. Previous postI Am Broken and It’s OK.